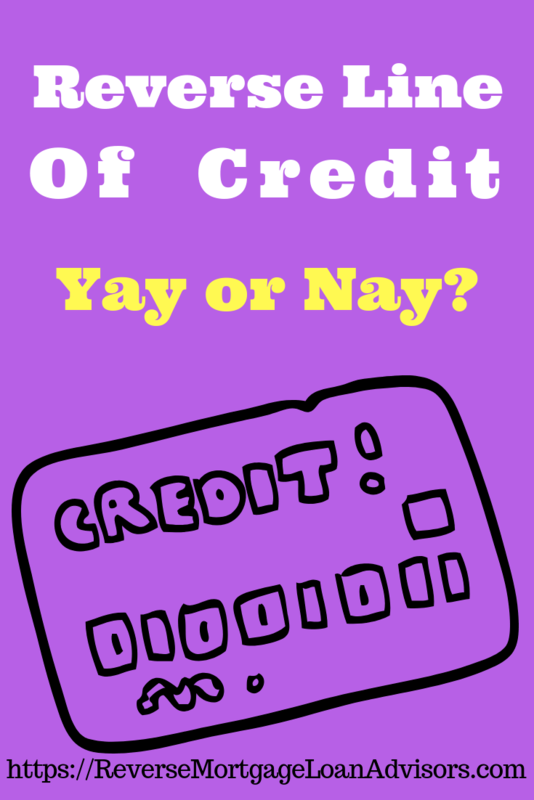 Home » credit line » Reverse Mortgage Line of Credit Explained – Yay or Nay? You may or may not have heard of a reverse mortgage line of credit. Either way, we aim to help you make an informed decision about the HECM line of credit and perhaps about reverse mortgages in general. The reverse mortgage line of credit is the most popular option among older homeowners that take out a reverse mortgage. According to AARP.com, about “2/3’s of homeowners that use a reverse mortgage, opted for the line of credit option”. 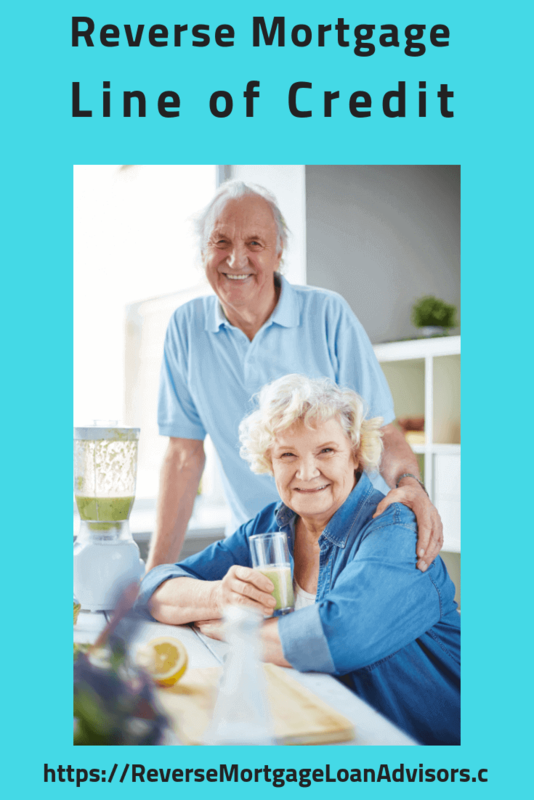 A reverse mortgage is a special type of loan for homeowners aged 62 and older. Or, If you’re not a homeowner, you CAN use a reverse mortgage to purchase a home. What’s so special about a reverse mortgage, is that you don’t need to make any payments to the bank or mortgage company. Yes, there is no payment due for as long as you live of for as long as you reside in your home. Keep in mind that you still own the home just like if you took a regular loan out. That said, you’ll still need to make sure to maintain and pay your insurance and your property taxes and any other homeowner required expenses (like HOA payments). Keep in mind, this is just a really basic synopsis of the reverse mortgage. You can find out more about this type of loan at this page –> Reverse Mortgage info. What Is A Line of Credit AKA LOC? have to requalify for the loan. One of the drawbacks of a regular line of credit is that the bank can shut it down at any point. For example, if property values decrease significantly, they can shut down your access to more money. Makes sense right!? The house is the collateral. It’s the main guarantee they will get paid back. What’s Unique and Special About a Reverse Mortgage Line of Credit? 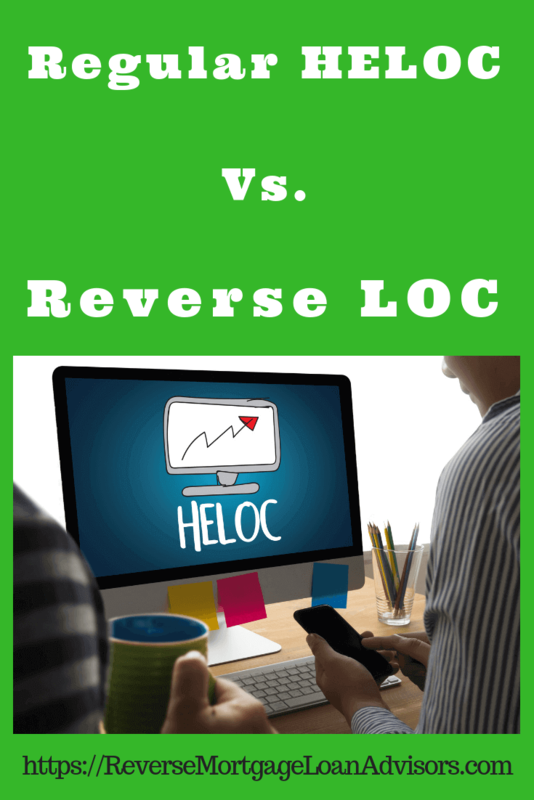 There are a few unique things about a reverse mortgage line of credit that come to mind. First, a reverse mortgage is guaranteed for as long as you live or for as long as you live in your home. This is one of the many pros of reverse mortgage. It doesn’t matter if you live (or live in your home) for 1 year, 3, years, 15 years, or 20 years or more. With a reverse mortgage line of credit, your line of credit is still available and won’t shut off at the 10 year mark like a regular home equity line of credit. Also, it’s still guaranteed for you even if the value of your home decreases. On the flip side, a regular line of credit can be shut off if/when home values go down. -Limited access period for credit. -Can be done with a Broker Price Opinion (BPO) in many cases (no full appraisal required). -Has a monthly payment if you use the credit. -It is Guaranteed for life of however long you live in your home. -Your Unused credit grows over time. -It is Negative amortizing loan if you don’t make payments. -A Reverse Mortgage LOC Requires a full appraisal. -There are No monthly payments required for life (or until you move out permanently). Both of these financial vehicles are great ways to access cash. Which option would work best for you? What do you think? Yay or Nay on a reverse mortgage line of credit? Our favorite is the reverse options. However, we also recognize that not every financial tool is for everyone. Either way, We can assist you with both. The reverse mortgage has proven to be a good financial vessel for over a million older homeowners.